Can you imagine a Texas Medicaid budget half of what it was last year? Is it possible for Medicaid patients to get a next-day appointment with their doctor? What if Austin, rather than Washington, controlled “Texas Medicaid”? Texas, can you dream that big? You should, because your dreams just might come true. In a brilliant piece of advance planning, the Texas Legislature in 2011 passed Chapter 537 into law. That was a request to the federal Centers for Medicare and Medicaid Services (CMS) for a waiver of essentially all federal mandates for Medicaid. Such a waiver would restore administrative control of Texas Medicaid to Texas. Believing that the Obama administration would never release federal control of such a huge program as Medicaid, Texas did not forward its request to Washington. Times have changed — there’s a new sheriff in town. With Donald Trump in the White House and a Republican Congress desperately looking for a workable way to repeal and replace the Affordable Care Act, it seems more likely that CMS would approve a full waiver request from Texas. If Texas controlled its own Medicaid program and received a no-strings federal block grant, we could change everything: radical administrative simplification, eligibility standards, verification processes, insurance packages, “work requirements” and reimbursement schedules. It is estimated that 31 percent or more of all healthcare spending is consumed by federal administration, regulation, and compliance oversight. For Texas Medicaid, that is $9.5 billion to $12.2 billion in annual Medicaid spending that doesn’t go to direct care. Freed from cumbersome, generally useless and unnecessary federal administrative controls, Texas could use that money for patient care — to pay Medicaid doctors a decent wage, to pay hospitals what they should be paid and to cover the costs of uncompensated care. 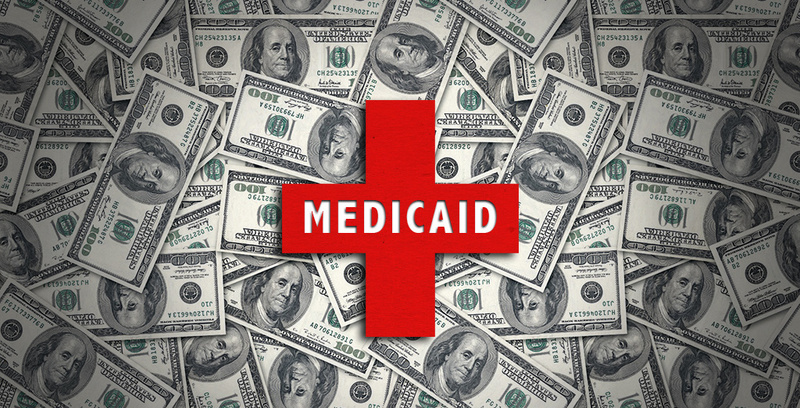 Though most people think Medicaid is a federal program for the poor, it was originally created as medical assistance for those “unable to support themselves,” listed in the original law as the physically disabled, mentally incompetent, pregnant women and those with chronic kidney disease. ObamaCare mandated health insurance coverage through Medicaid for able-bodied adults even though the original Medicaid program was intended for those who are “unable.” This diverts resources away from the most needy and medically vulnerable populations. With a full Medicaid waiver, Texas could enroll only those who are truly unable and need state help. With freedom from federal mandates, Texas could reduce fraud and abuse. A report on welfare abuse from Arkansas Medicaid (no comparable data is available for Texas) showed that 43,000 of 1,102,000 (3.9 percent) people enrolled in AR Medicaid did not live there. With tighter and more frequent verification procedures, Texas could enroll only those who are truly eligible, according to the nonprofit Foundation for Government Accountability. Extrapolating from the Arkansas experience, Texas could discontinue 171,000 improper payments — 3.9 percent of 4.4 million Texas Medicaid enrollees—and save $1.19 billion a year. With federal control of Medicaid, insurance sellers must sell what Washington tells them to and patients must accept benefit packages of Washington’s design. There are no free market forces. Add the federal government’s massive administrative costs to carriers’ bottom lines, and they either have to charge prices we cannot afford or they stop selling insurance altogether, like UnitedHealth, Aetna, Anthem, and most recently, Humana. With a full waiver, Texas could release insurers to compete, to offer options that people want and to charge affordable prices. Medicaid is the largest single cost item in the Texas state budget. It is also the largest spending by Texas not decided by Texans. This directly contravenes the original Medicaid law, which said that programs would be under state, not federal, administration. The GOP just released the American Health Care Act, which turns out to be more amend-and-enhance than repeal-and-replace. Their plan does not repeal the federal mandates that control spending in Texas. This makes it even more imperative that Texas gain control over its own budget. It is time for Texas to dream big: Get Chapter 537 approved by CMS to put control of Texas Medicaid where it belongs — in Texas’ hands.